While passing the west side of Juneau’s Shelter Island on Wednesday, an 18-passenger tour vessel saw more than just whales. Audrey Benson, a naturalist with Gastineau Guiding Co., was on the tour when the crew got some news over the radio. And it was struggling to stay above water. After a larger tour boat tried to rescue the animal a few times, it gave up. But Benson, along with the passengers and crew, decided to keep trying. 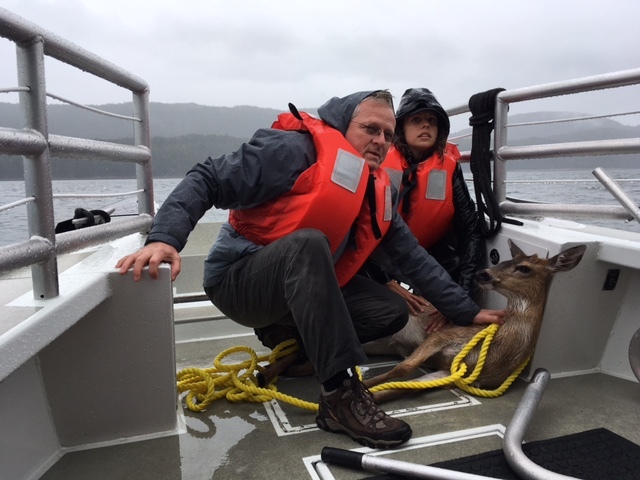 They were eventually able to lasso the deer and pull it onto the boat. The crew was able to drop the deer off at Shelter Island—but not before it tried to swim back into the water again. The other deer disappeared before the group reached it, and is presumed to have drowned. 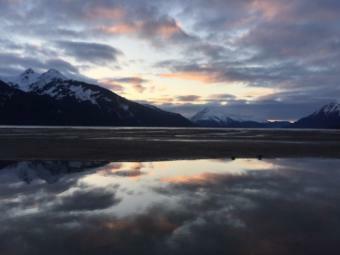 The Alaska Department of Fish and Game said it’s very uncommon for deer to drown, adding that deer regularly swim from island to island.